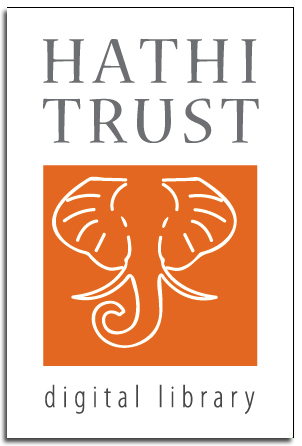 HathiTrust Digital Library is an immense online repository of 10.5 million scanned volumes, 31 percent of which are in the public domain and accessible free of charge. Its name comes from the Hindi word for elephant, an animal renowned for its size, strength, and memory. Massive as it is, the collection takes in a bit of everything. There are fiction and nonfiction books in every language, as well as periodicals, government documents, genealogical records, Spanish books from the fifteenth century—and on and on. As with Google Books, you can search the full-text of the collection with the click of a button. But HathiTrust’s advanced full-text search far outstrips Google. Say you want to find personal narratives about the Napoleonic Wars. A subject search yields 166 results. Limit your search to titles in French, and you’ve still got more than seventy titles. The full-text search is also great for working with an individual text. Can’t remember exactly where it is that Proust’s narrator takes his famous bite from the madeleine? Just do a keyword search. 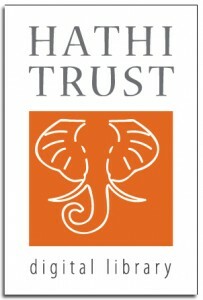 HathiTrust users can create and share their own collections, compiled out of materials found on the site. It’s sort of like a playlist for digital books. For example, the collection How to Be a Domestic Goddess, created by the user sooty at the University of Michigan, contains 147 titles about cooking, child-rearing, and housewifery, from the eighteenth to the early twentieth centuries. Once you create a collection, you can search just that material. For now, HathiTrust books are intended mainly for online reading. Limited page-by-page downloads are allowed, and full chapter downloading is coming soon, but only partner institutions may download full text. That said, even if the books you find are under copyright, HathiTrust is still a powerful means of discovering that they exist. Just click the “find a library” link on the book’s catalog page. You’ll be connected to the WorldCat catalog, where you can see if we have the book at Falvey, or else request it through Interlibrary Loan. The vast majority of public domain works in the HathiTrust catalog (those published before 1923) are also available for full-text download through Google Books. The site also includes a few really arresting graphics, like this interactive pie chart that breaks down the collection by Library of Congress classifications. This is bit of a promotional gimmick, but it can also help you browse the site in a more focused way. Best of all, a federal judge declared this week that HathiTrust’s services are legal, and not a violation of copyright.